﻿ Rocabella Mykonos Art Hotel & Spa Mykonos. JIMAT di Agoda.com! Ada soalan mengenai Rocabella Mykonos Art Hotel & Spa? 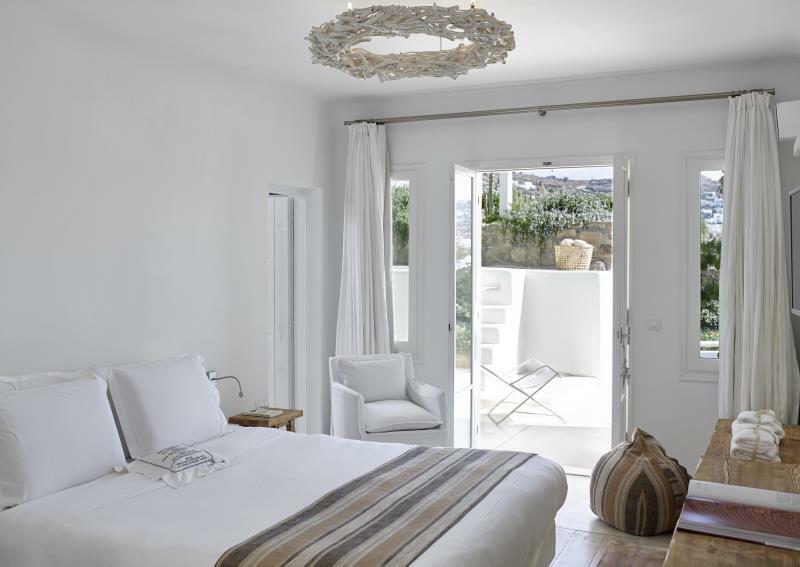 Bagi para pelawat yang ingin menikmati sepenuhnya pengalaman di Mykonos, Rocabella Mykonos Art Hotel & Spa merupakan pilihan tepat. Hotel ini terletak 3.0 km dari pusat bandar dan menyediakan akses kepada kemudahan bandar yang penting. Persekitaran yang terjaga dan kedudukan berhampiran dengan Evelin Gallery, Minima Gallery, Muzium Maritim Aegean memberi hotel ini daya tarikan istimewa. Ambil kesempatan daripada pelbagai perkhidmatan dan kemudahan yang tiada tandingan di hotel Mykonos ini. Untuk keselesaan dan kemudahan tetamu, hotel ini menawarkan Wi-Fi percuma semua bilik, fasiliti tetamu kurang upaya, Wi-Fi di tempat awam, tempat letak kereta, khidmat bilik. Hotel ini mempunyai 23 bilik yang sangat cantik, setiap bilik dilengkapi televisyen skrin rata, minuman alu-aluan percuma, linen, cermin, selipar. Sepanjang hari anda boleh menikmati suasana yang santai dengan tab panas, pusat kecergasan, sauna, kolam renang terbuka, spa. 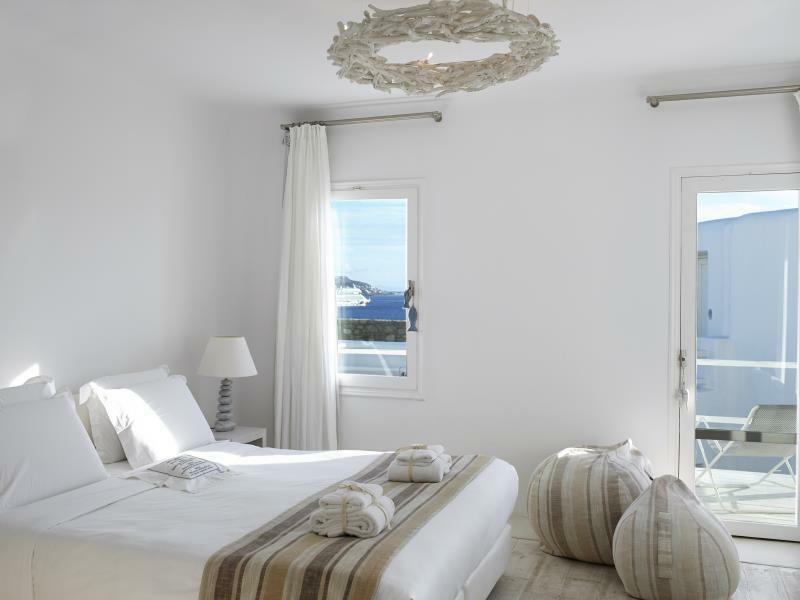 Rocabella Mykonos Art Hotel & Spa merupakan pilihan yang bijak bagi pelancong ke Mykonos, menawarkan penginapan yang santai dan mudah setiap kali. It is an very nice and modern hotel everything is at right place , very punctual in everything and all the staff are very very efficient and good varieties of breakfast. We spent 4 nights and enjoyed our stay very much. The room was great and the staff goes above and beyond to help you with anything. I would stay there again. 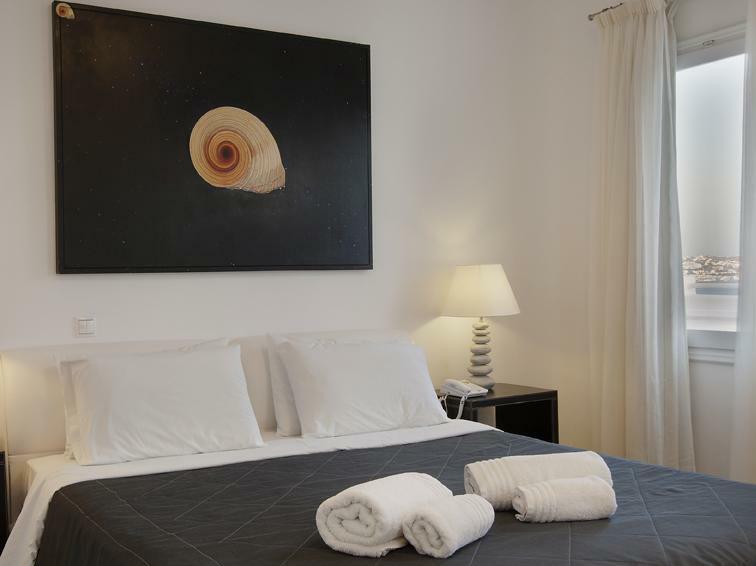 Small boutique hotel with a pool, gym and restaurant. Not even 5 years old the rooms are very charming. The staff is beyond nice and full of recommendations. They use whatsap to keep in contact in a very innovative way. Views are outstanding, breakfast delicious, good wifi. Would return. I cannot be more genuine in saying that staying at this hotel was absolutely positively unbelievable. Not only were the rooms and facilities beautiful and well kept and were way above any expectations but the staff and workers were incredible. It was our first time there and we were welcomed with open arms, smiles and complete kindness. When we arrived someone was there to guide us to all the places to go in the city and a beautiful tour of the premises. We were well taken care of and they always made sure we had what we needed at all times. 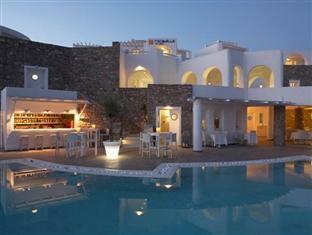 I cannot stress enough if you're going to Mykonos this is 1000% the place to stay!!!! Thank you Rockabella for all your beautiful hospitality we will be back!!!! i really love to stay at this hotel..when i first arrived the staff name Margarita welcomed us with very warmth welcome..and the place is very nice and warm as well but i have difficulties when it came to night time and i was hungry..i cannot order any food and even at evening time when i was asking for warming my food (rice) the manager maybe said cannot but since we insist finally he helped us to warm it but said only for today.. Basically I am very happy to stay there unless with the manager and will recommend this hotel to my colleagues and friends..
1st impressions is we felt like home, all the staff so friendly the manager will greet you every morning in the breakfast so casual just like a big family, so clean perfect breakfast..for sure if we comeback we will choose this hotel again..
Wow wow wow! I can't say enough about this hotel. I have never in my life been treated as nicely as their staff treated me and my family. We felt as if we were family and had known them for our entire lives. We were welcomed with a bottle of local wine, upgraded to the honeymoon suite and they treated our four year old daughter as one of their own, she still talks about Uncle Tasos and Aunt Joanna. I was sick one of the days and the chef prepared some soup especially for me. The view was breath taking and the town of Mykonos was lovely. We traveled in the low season so many things were closed but we enjoyed being among the few that were visiting at that time. It felt like we had the place to ourselves. I would recommend this place to anyone, anytime and I will definitely be going back! Trip of a lifetime! Everything is so perfect! Total satisfaction! Hotel quality, service and food. This is the first time that I wrote a review for a hotel. This hotel had given me a best experience in staying abroad. No matter it's hotel quality, service and food. I have to say that I would like to stay there again when I travel to there the next year. Thanks again for the staffs' help when we face problems during staying there. this was the loveliest place so far, having been given the room with jacuzzi overlooking the sea, the staff performance was marvellous and the breakfast was perfect. we thoroughly enjoyed our stay there, and happy for staff like Maria and Tasos and all others who made us want to stay there longer. highly recommended. 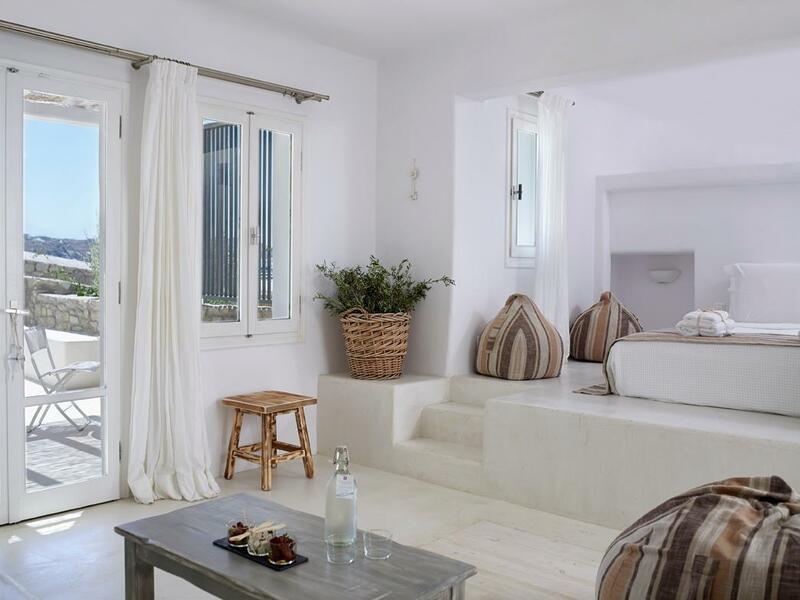 Best hotel stay in Greece! 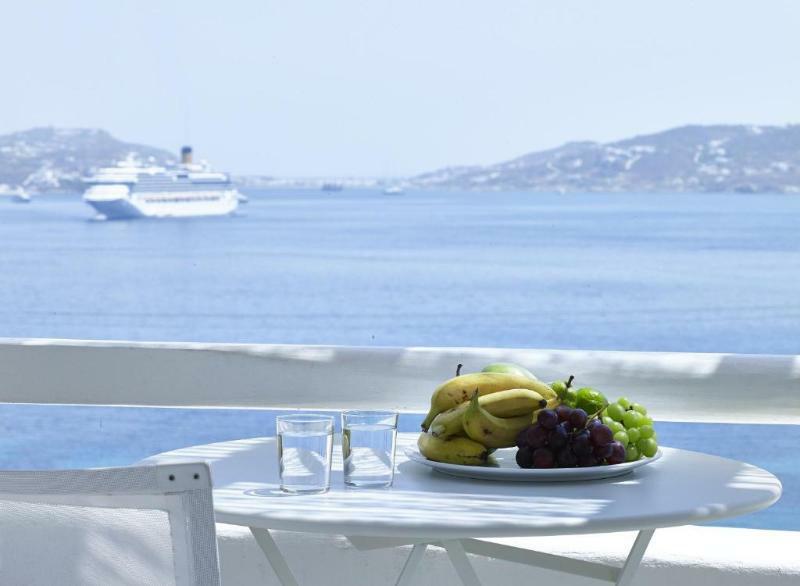 Away from mykonos town, so it is peaceful. Hotel provide free shuttle service to town or you can get them to arrange a car rental for you. Excellent food at Ergon Restaurant. Everything is perfect! Excellent. Enjoyed everything there - room, view, services and people!